Popular grandstands sell out fast. Buy Canadian Grand Prix tickets from these official retailers. The Canadian Grand Prix in Montreal boasts an atmosphere many venues would kill for. Watching F1 at the Circuit Gilles Villeneuve though does have its downsides, especially in the cheaper grandstands and general admission where a lack of elevation exascerbates the problem of obtrusive catch-fencing and will be a particular annoyance to keen Instagrammers. That said there are good views to be had. There are some options for the budget conscious that offer a reasonable middle ground between seeing nothing more than a blur of F1 cars and going bankrupt as well as some mid-range grandstands with exceptional views. Most grandstands at Circuit Gilles Villeneuve feature metal bleacher style seating which can be uncomfortable, especially in cold or very hot conditions so bring something to use as a cushion. Grandstands 11 and 12 are some of the best grandstands to watch the Grand Prix in Montreal (if you choose the right sections). This part of the track is frequently the scene of incidents and the anticipation of 20 Formula One cars hurtling into this bottleneck on the opening lap is something not to be missed. With the best sections featuring views to the starting grid and the pitlane fans here feel close to the heart of the circuit. Crucially, both stands are nicely elevated so the safety fencing that surrounds the circuit isn’t an issue here. The downside of being seated here for some is the walk. This is about the furthest point from the Jean-Drapeau metro station and given the circuit’s elongated form, that is quite a distance (about 3.5km) and certainly something worth taking into account if you have some mobility issues or just plain don’t like walking. Fans in grandstands 11 and 12 can choose which blocks their allocated seat will be in and believe me, the small price difference for the more premium sections are well worth the extra cost. In fact the best sections of each grandstand are more similar to each other than to the other half of the same grandstand. 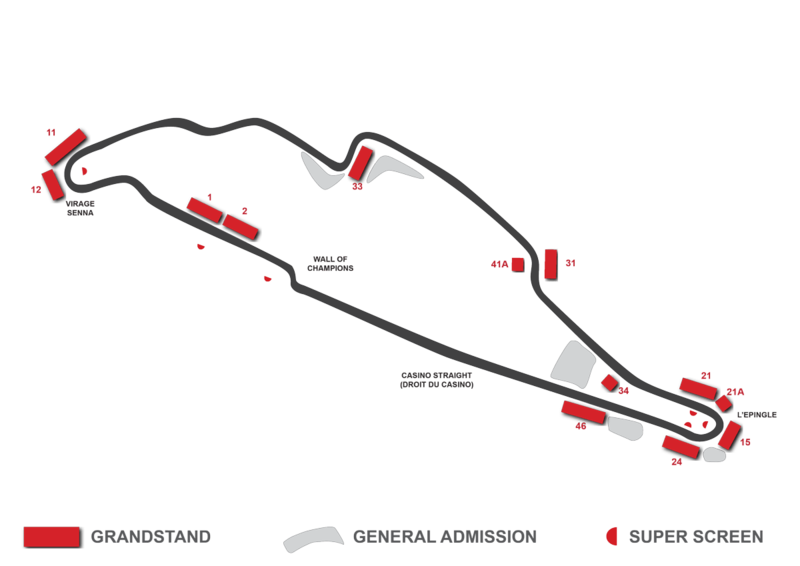 Grandstand 11 (sections 1, 2, and 3) offers views all the way from a distant ‘Wall of Champions’ and the final corner to the exit of the Senna curve – a view that also encompasses the starting grid, turn 1 and the exit of the pitlane. Grandstand 11, sections 1 to 3 just edges out neighboring Grandstand 12 as the best grandstand at the Canadian Grand Prix; but its a photo finish. For fans in blocks 4, 5, 6 and 7 much of their view will be blocked by trees and so will still get a good view of the Senna Curve but most fans’ view of turn 1 is obstructed. Seats in Grandstand 12 (sections 5, 6 and 7) feature a very similar view to the one described above (Grandstand 11: sections 1, 2, and 3) but its view is not so direct – you’ll probably find yourself turning your body to face the main straight to avoid having a sore neck by the end of the race. The giant screen for this stand is also of to the far right of the stand. Because of the way the grandstand in orientated its possible to see as far as turn 3 from here, albeit distant. The one benefit of being sat in sections 1, 2, 3 and 4 is the closer proximity to the screen. Fans sat here can see turn 1 but your view to the left is cut short as the cars round and exit the Senna Curve. Grandstand 33 is a much underrated place to watch the race from. The stand is located at the medium speed chicane that makes up turns 6 and 7. Sure the section may not have as much potential for overtakes or smashy smashy as some but it beautifully demonstrates a Formula 1 car’s agility, braking and acceleration and the sight of the cars appearing from the dense trees is majestic. To top it off there’s a giant screen opposite. Get a seat high up in the stand for the best view over the fence. This is a favourite grandstand for Fernando Alonso who in 2017 had an impromptu meet and greet with some lucky spectators after his Honda engine gave up on lap 66. Turn 8, coming after the back straight, is an occasional overtaking spot but more likely you’ll see drivers trying to take the perfect line through turn 9 to make a passing attempt into the following hairpin. The large run-off area here means turn 8 is a somewhat distant view for fans but the cars swoop in closer towards the grandstand around the faster turn 9. Grandstands at the Epingle Hairpin are a good option, especially for photography at what is the slowest part of the track. It is a prime location for thrills and spills and to see drivers making overtakes on the entry or lining up overtaking maneuvers on the exit of the corner. With so many fans in one place there’s a fantastic atmosphere in this stadium-like section of the track. 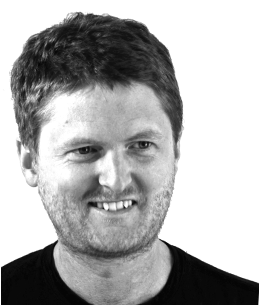 Its an aural extravaganza – the sound of F1 cars breaking from 300 to 60kph, thumping down through the gears, locking a wheel, and roaring off again down the Casino Straight – all to a background track of a few thousand buoyant fans is deafening. In a nice way. The other great benefit of these seats is their proximity to the metro station. Whatever your reason – maybe you want to get a head start on leaving the track after the race or you suffer mobility problems – having a seat in one of these grandstands will mean the least possible distance to cover to get to your seat. Situated in the interior of the track, the hairpin loops around Grandstand 34 offering an unusual vantage point. Thanks to the grandstand’s steep elevation spectators here face no issues with the fence ruining a good shot of the cars. The drawback with this stand compared to say grandstands 21 and 24 is the cars can feel a little distant and you don’t get the same sense of the performance – speed, braking and acceleration – of a Formula One car. There’s probably no better place to witness the immense breaking ability of a Formula One car at the Canadian Grand Prix circuit than from Grandstand 21. Like stand 24, opposite, you sit very close to the track, reveling in the noise of the transmission flicking down through the gears at lightning speed. You may get some nice panning shots of the cars under breaking (unless you’re in one of the lower rows); the drawback here is the rear on view as they round the apex of the hairpin. A seat at Grandstand 15 allows fans to take in the full scope of the Epingle Hairpin from the distant view of the approach from turn 9 to where the cars disappear out of sight around the curve that leads onto the Casino Straight. Take a pair of binoculars and a zoom lens though – the hairpin’s necessarily large run off area means seats are a little distant from the track compared with neighboring grandstands. A strong contender for the best grandstand at the hairpin is the Lance Stroll Grandstand, formally known as Grandstand 24. From here fans can view not only the hairpin which is so close you can almost touch it, but also a good view of the approach, almost as far as turn 9. Upper rows have a clear view of most of the track without being hindered by the catch fencing and with the iconic background of the Biosphere should result in some Instagram worthy photos. Formally called Popular Grandstand, the now more aptly named Grandstand 46 along with its neighbour on the Casino Straight are the weakest at the circuit. Located after the hairpin but too far away to have any meaningful view, the only reason to choose grandstand 46 or 47 over say, a general admission ticket, is to have a reserved seat. That way you can roam around general admission areas for some better views and when you get tired of roughing it return to your seat in the grandstand. This will appeal to a small number of people but for most fans I would advise just avoiding these stands. Grandstand 1 is a pretty standard main straight option. You can expect the usual benefits like the pre-race build up on the grid, the people watching, mesmerizingly quick pitstops, the podium ceremony and post race interviews with the top three finishers. Being a DRS zone you’re likely to see a number of wheel to wheel duels to keep you on your feet. 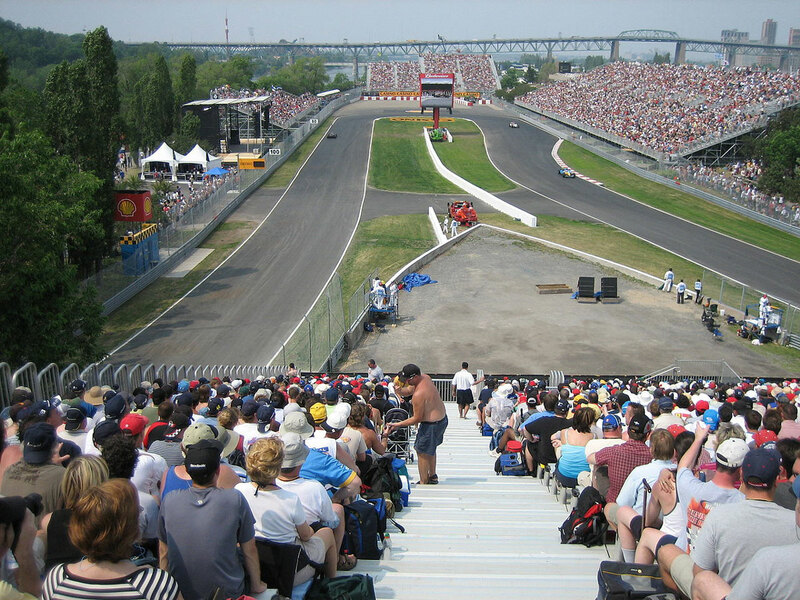 One of the most popular grandstands at Montreal, Platine Grandstand is situated on the main straight between the grid and turn 1. These are the best seats at the track to watch the start of the race and the action in turns 1 and 2, but being neither directly in front of the grid or turn one, a bit of a compromise on both fronts. Fans here will also find that the shallow-sloped nature of the stand and the safety fencing means you’re unlikely to have a clear line of sight to the track. Overall there are better stands purely for track views. Here’s the kicker though: Platine is the only grandstand in Montreal to feature a (partial) roof so you have some protection from the elements. Not only that, you can say goodbye to uncomfortable metal bleachers – the grandstand has molded plastic seats with seat backs. What Luxury! General admission at the Canadian Grand Prix is not recommended with not a lot of good views around the generally flat circuit. For the casual motorsports fan who just wants to experience the atmosphere of a live F1 race, general admission will suffice. For anyone else, you’ll probably be disappointed.